Hey! What’s your favorite RPG? I’m sure that most of you have an answer to that question – after all, RPGs have been alive and well within the gaming industry for quite some time. Now, do you think that you could tell me why the RPG that you have chosen is your favorite? Is it the combat? The graphics? The music? No, it most likely isn’t any of those things. Don’t get me wrong – all of those play a vital role in the success of an RPG – but I bet that, if you had to narrow your answer down to one single reason, it wouldn’t be any of those. Most likely, the reason you hold a particular fondness for that RPG is due to the story. I mean a good RPG has to have a good story, right? I’m going to assume that you agreed with me. Where do those stories come from, anyway? The simple answer is “the writers, duh”, but there’s more to it than that. Writing a story is, in a way, a culmination of one’s life experiences up to that point. People write what they know and, because of that, other people are given the chance to experience new and exciting stories in video games (and outside of video games I guess). 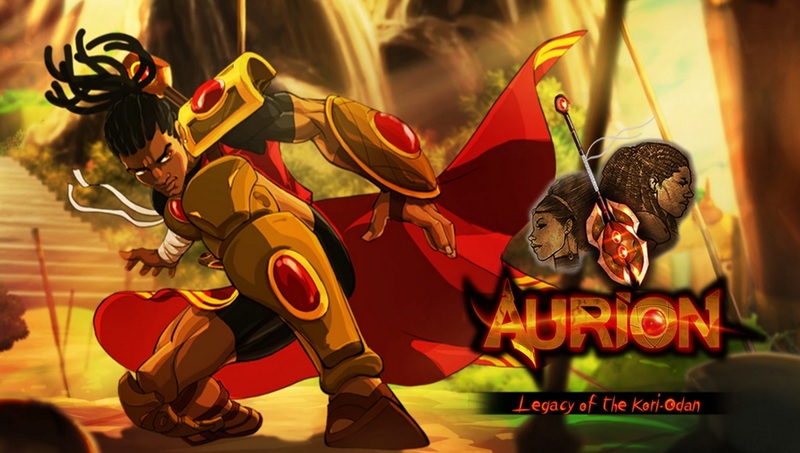 While most of these video games, these stories, come from places such as North America, Europe, and Japan, there are plenty of other games from other parts of the world out there too just as eager to tell their story – and it just so happens that the Cameroon-developed Aurion: Legacy of the Kori-Odan is one of them! Aurion: Legacy of the Kori-Odan begins with protagonist Enzo Kori-Odan about to marry his childhood friend Erine Evou, becoming king in the process. Normally that’s where a lot of games end, so I’m sure that it won’t be surprising when I tell you that things don’t necessarily go as planned. Just as the ceremony is about to finish, Zama finds itself under attack by a group of bandits. Feeling the need to personally protect both Zama and its people as its new king, Enzo rushes to put a stop to the attack before any harm can be done. That actually isn’t the main problem, though – Enzo sends the foolhardy group of pillagers running quite quickly. Rather, it’s the second, separate, attack that creates a problem – a coup d’etat staged by none other than Erine’s brother Ngarba. Enzo puts up a good fight against Ngarba, even teaming up with his newly-betrothed during the latter half of the fight (a decision that probably wasn’t too easy for Ernie), but was ultimately no match for his brother-in-law in the end. Sometime later Enzo wakes up in an unfamiliar land, tired, confused, and defeated. With his title and kingdom stripped away just as quickly as it was given to him, and only Ernie by his side, Enzo then sets off on a long and difficult journey in hopes of eventually taking back what was once rightfully his. Aurion: Legacy of the Kori-Odan is an action-RPG with a decent balance between exploration and combat, and a huge emphasis on storytelling. 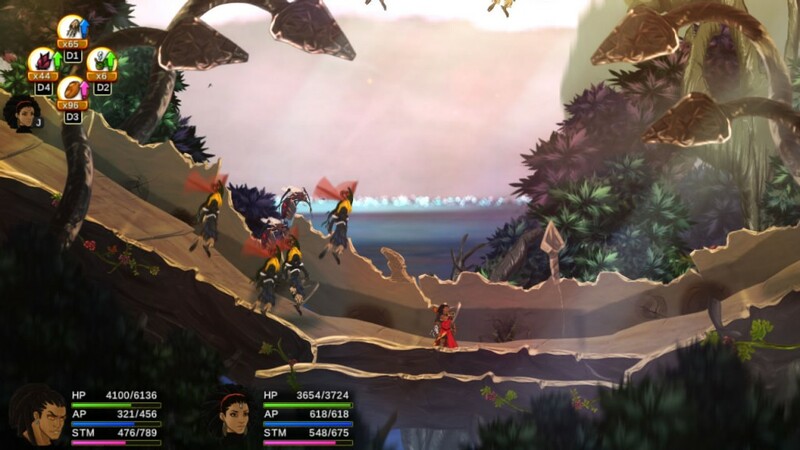 Aurion was stated to have drawn inspiration from the iconic Tales series and, while that inspiration is most noticeable during combat, it’s pretty easy to see how the Tales series impacted Aurion as a whole. Even outside of combat here’s a carefully-balanced air of familiarity that encompasses the entire game that makes the pacing feel… comfortable would be the best word, I suppose. The actual exploration itself, while comfortable in concept, can be a bit hit or miss at times. Aesthetically speaking, Aurion was a treat for the eyes. Each area had an incredible amount of detail to it, and the mixture of traditional African culture with elements of both science fiction and fantasy really created a world unlike which I had ever before seen. Unfortunately, the aesthetics themselves ended up being the best part of exploring. While basic movement worked just fine, Aurion added a lot of platforming elements to many of its areas – some of which ended up feeling a little unpolished. 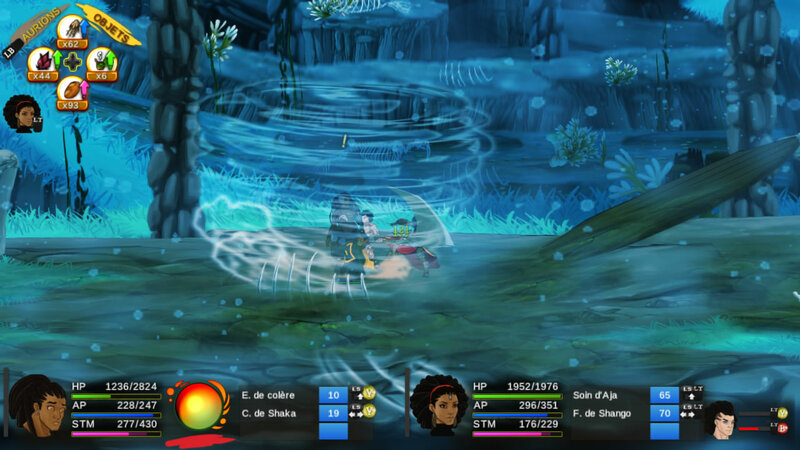 Though a two-dimensional game, Most of Aurion‘s out-of-battle gameplay allows for 360-degree movement –something plenty of 2D games do. Because of the somewhat-shoddy way in which depth is depicted when moving around in these environments, however, certain platforming segments became a bit frustrating. I would find myself missing platforms entirely from time to time due to the fact that I wasn’t back far enough. None of the problems that I encountered was game-breaking, but the fact that they caused me to have to repeat certain segments got a little old after a while. 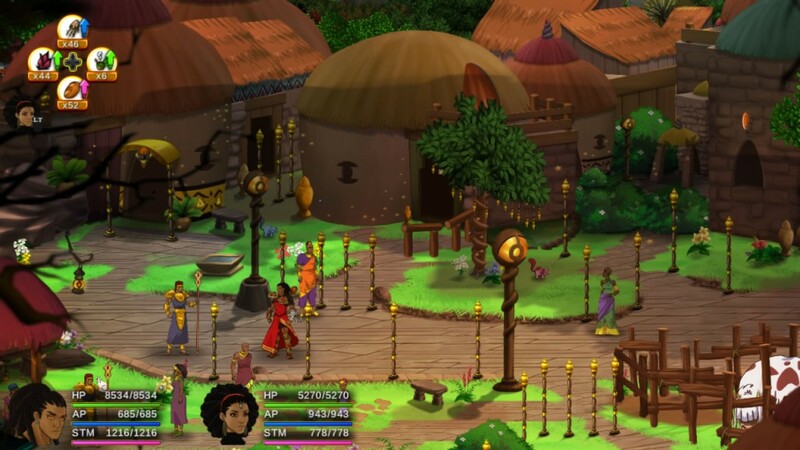 Like any (or at least most, I guess) RPG, Aurion: Legacy of the Kori-Odan has plenty of combat packed into the game. Do you remember when I said that this game drew inspiration from the Tales series a few paragraphs ago? It’s most noticeable when in combat. Fighting takes place in real-time on a 2D plane, mimicking the style of, say it with me, the combat featured within the Tales series. Aurion tries very hard to do the Tales-style combat justice and I’ll give it credit – it mostly succeeds. Random encounters can become a bit lackluster after a while due to the fact that you generally don’t need to much strategy when dealing with them, but are generally fun for the most part. Where Aurion‘s combat really shines, however, is in the boss fights. Unlike the sameness found within a lot of the normal enemies, bosses are incredibly varied and are often times rather demanding on the player (though not in a bad way). Each boss boasts very unique skill sets and attack patterns that require the player to gain a full understanding of their enemy before they can hope to defeat them, and all offered a legitimate challenge – one that made me feel like I accomplished something after I won. Things weren’t perfect, though. While I did enjoy my many skirmishes within Aurion, I never fully got used to the controls. Aurion‘s combat is very combo-heavy. In order to deal a lot of damage, and later on in order to build up energy for special attacks, you need to learn how to effectively chain your hits. I understood how chaining worked in the basic sense, but the lack of fluidity in terms of character movement made racking up combos a bit more difficult than I’m sure the game intended it to be. Things such as jumping and dashing felt very stiff, and the movement could become choppy at times. Finally, there’s the story. The story itself ended up being great, minor translation errors aside. Aurion: Legacy of the Kori-Odan provided a great “coming-of-age” good character development and a rich plot filled with inspiration drawn from African culture and hints of Sci-Fi and Fantasy. The only problem that I had involving the story was the pacing. There were several times when I found myself wanting some uninterrupted gameplay – all too often I would spend a few minutes adventuring only to be stopped by a cutscene. I did say that an RPG’s story was the most important element, and I’m not taking that statement back at all; I still believe it to be. I just think that, during certain times, it wouldn’t have hurt to allow the player to run around a bit more freely before introducing them to more plot. Okay, so let’s look at those visuals one more time (hah!). Before playing Aurion, I wasn’t aware that I would ever come across something that I would simultaneously describe as being both “excellent” and “dated” at the same time – I mean, they’re so contradictory! Nevertheless, here I am – doing just that. My knee-jerk reaction to Aurion‘s visuals is to say that they look like something out of a very high-quality flash game. Though hand-drawn, they could stand a bit more polishing. Aside from that, they’re absolutely fantastic. Every person, every place, and everything has to it a great amount of detail. You won’t find a single person without a visible personality of their own, nor will you find a landscape not teeming with independently-moving elements that bring it to live. Despite any rough edges, the artwork manages to shine through in the end due to the sheer amount of effort put into it. Aurion‘s music was good as well, and I can’t say that I’ve heard anything like it before. Due to the game’s setting, most of Aurion‘s soundtrack is comprised of traditional African instruments… at first, anyway. Quite a few of the songs had a peculiar habit of adding in very synthetic-sounding instruments into the mix as they built up, which greatly added to the game’s inherent theme of the coexistence between nature and technology. It was different and unexpected, but pleasing to listen to all the same. Honestly, this game is a great example of a diamond in the rough. Sure it isn’t perfect – there are definitely some mechanics that could be fine-tuned – but those able to overlook any shortcomings will most likely be pleased with what they find. All-in-all, Aurion: Legacy of the Kori-Odan presents itself a full and enjoyable RPG with a good amount of challenge, wonderful environments, and plenty of heart where it counts the most. Full disclosure: This review is based on a review copy provided to Hey Poor Player by the developer.